The latest version of WhatsApp for Android, which you can download from the source link below, allows basic text formatting - bold and italics. For those who love to decorate their text on messenger, this could be a big deal. If you want to bold any text in your message, simply surround it with asterisks. For example, text written as "I'm the *greatest*", will be displayed as "I'm the greatest". If you want to italicize any text, wrap it with underscores. That is "I'm the _greatest_" would display as "I'm the greatest". The nice thing about the new text formatting is that the decorated text retains its formatting on the notification panel as well. Other common effects such as strikethrough and coloring the text aren't available yet. FWIW, the sender name will now appear bolded on the notification panel. One more noticeable improvement the new version of WhatsApp brings is in the document send feature. The feature was made available a few weeks ago as "Browse other docs". Choosing this option will now allow you to access documents stored in your Google Drive or Microsoft OneDrive as well. The support for the file format includes Word docs, Excel spreadsheets and Power Point presentations along with regular PDFs. WhatsApp also brings some nice improvements on the Chat Backup feature. The sync process now shows a progress bar that gives you an idea of the time remaining for the rest of the process. 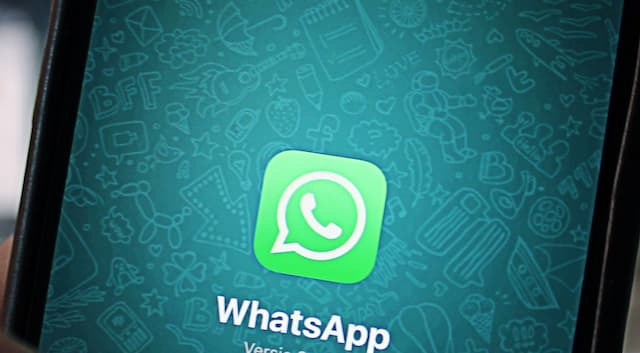 Unfortunately WhatsApp won't let you use the messaging feature while the backup process is in progress. We expect improvements on this front in coming days. It's not clear how long will WhatsApp take to roll out this feature on the main version. It may take a few more months before we see it. You may remember that the Google Drive backup feature was leaked several months ago before it was actually included in the main version. We'd like to know from our fellow engineers their opinion about the new features in WhatsApp. Do you think text decoration is necessary? How many of you plan to use the feature? What other text formatting features do you wish to see in WhatsApp? Let us know.